Madurai, with its rich heritage of religion and culture, manages to be vibrant and tranquil at the same time. As one of the oldest cities of India, it has survived many eras, reminders of which continue to grace the city even today. It is the sanctity of its marvelous medieval temples, which are also fine architectural specimens, that lures pilgrims and travelers to Madurai. A treasure trove of ancient culture and rituals, Madurai is slowly embracing modernization. As an established textile hub and with a growing presence in the IT industry, Madurai also attracts many business travelers. In Madurai, finding accommodation to suit your needs and preferences is hassle-free as there are numerous options available. 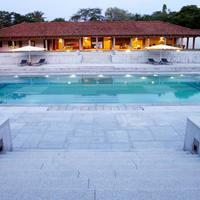 Along with spiritual experiences to nourish soul, Madurai also offers luxurious stays at its many high-end hotels. Facilities such as swimming pools and spas allow you to enjoy some quality time by yourself or with your family and friends. 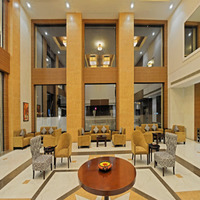 Many of the hotels also offer excellent internet connectivity, business centers and meeting rooms for those traveling on work. 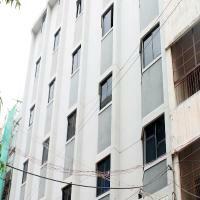 It is also quite easy to find comfortable but affordable stay options in Madurai. 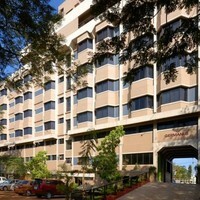 Lodging at inns and service apartments, as well as budget hotels is easily available in the city. The Race Course Road, Madakulam Road, and locales near the railway or bus terminus are the ideal places to look for accommodation, as a majority of the hotels are located here. Madurai is flooded with tourists and pilgrims throughout the year, so finding quality accommodation on arrival can be difficult. Therefore, be sure to book your hotel room in advance. With Cleartrip's pay@hotel feature, you can make your bookings with zero advance payment. It allows you to pay the amount directly at the time of check-in. So, book your hotel stay in Madurai with Cleartrip today! 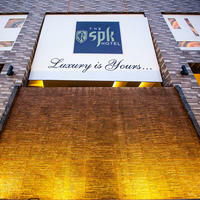 Could you tell us hotels in Madurai that provides 24 hours check-in check-out facility? 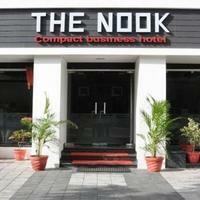 There are many hotels in Madurai that offer 24 hour checkin facility. 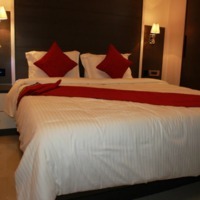 Some luxury hotels in city that offer 24 hour check in are Simap Residency, Hotel Vijay, and Hotel Padmam.You could also try these budget hotels Hotel Vijay, Hotel Padmam, and Sri Annapoorna Tower that offer this facility. Suggest us few good hotels in Madurai that provide wifi. 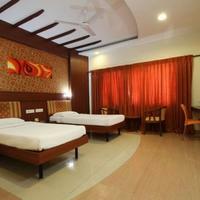 These days Wi-Fi is part of basic facility that most hotels in Madurai offer. These budget hotels in city offer free Wi-Fi service Hotel Shreenithi. 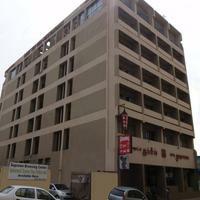 Could you suggest us few hotels in Madurai that has free parking facility? 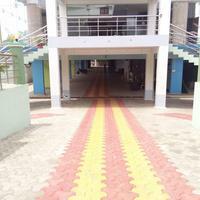 There are few hotels in Madurai that provides free parking facility Simap Residency, AVN Swasthya - The Ayurvedic Village, and Sree Chakra Hotels. 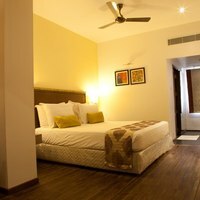 Can you suggest us hotels in Madurai that offers rooms under Rs. 1700/-? 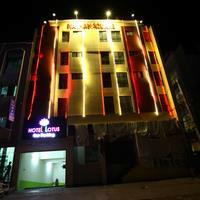 There are many hotels in Madurai that offers hotels under Rs. 1700/-. 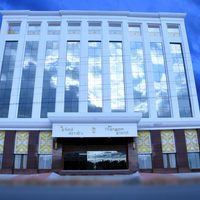 For best options you can check Treebo Simap Residency, Hotel Vijay, and Hotel Saratha Rajans under 1700/-. 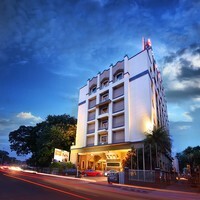 Can you suggest me hotels that have pay@hotel options in Madurai? 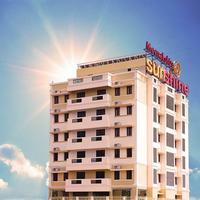 Most hotels in Madurai prefer that you pay some advance to book a room. However, there are some hotels that give you an option to pay@hotel like Heritage Madurai, V Grand Hotel, and The Madurai Residency. Please suggest me 5 star hotels in Madurai. 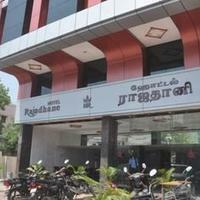 There are a lot of options for comfortable stay in Madurai. 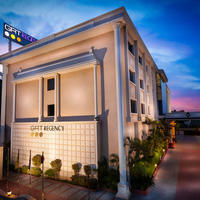 Check this hotels for comfortable stay The Taj Gateway Hotel Pasumalai. 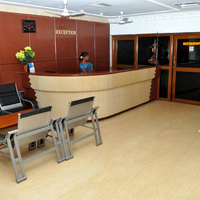 Can you suggest few hotels with good front desk facility in Madurai? Yes, there are a lot of hotels in Madurai that has good front desk service available. 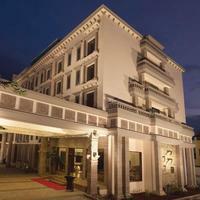 Check this hotels The Taj Gateway Hotel Pasumalai, Heritage Madurai, and V Grand Hotel.